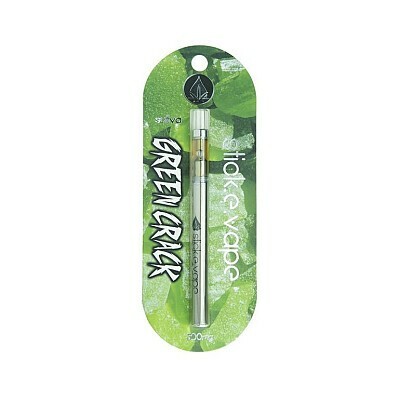 Snap into the zesty goodness when you pull sweet tokes from stick.e.vape Green Crack Disposable Pen. This Sativa blend offers up an invigorating cerebral high that empties the mind of stressful thoughts. This strain is a favorite for users who need a little extra boost of confidence before presentations and social events. Green Crack expresses bright citrus notes with an earthiness and delivers the perfect puff of energy.